Fantasy football is always evolving. Six years ago there were less than 50 sites that discussed this great pastime of ours Now, there are hundreds of sites dedicated to every kind of league imaginable. I love fantasy football because you can build a solid foundation if you put the time into studying. Viewing film and following the local NFL beat writers will often help find the hidden nuggets of worthwhile information that others in your league may be missing. Experienced players use every bit of information they can glean from any source to form new opinions, sometimes the direct opposite of years past. They try out new theories and most will experiment when the stakes are low or there are no stakes at all. The best place to do that is in a mock draft. Mock drafts allow you to try different strategies while helping set up player values in other owner’s minds. But remember that mock drafts are only one tool in your toolbox and you shouldn’t feel comfortable if this is the only thing you do to prepare for your draft(s). While it is important to know average draft position (ADP) and make educated decisions on where a player is most likely to go, strictly using mock drafts is not the only place you should look to gain insight. Because they have no repercussions they are hard to take very seriously, more like a loose guideline. The more a fantasy player relies on mock draft results, the more likely they are to become used to set a strategy and as well all know, all drafts are fluid situations and should be approached with the understanding that things change quickly. Every owner should be ready to adapt at a moment’s notice. Don’t misunderstand me, these mocks can be quite helpful in taking the pulse of the fantasy community, but they shouldn’t be your only tool. But why don’t I take them that seriously? Mock drafts, unlike real money drafts, have no sense of urgency and zero financial investment. You can simply draft and forget it. If a fantasy owner does not have to deal with the consequences of drafting a more injury-risk player, then they do not have the same sense of the dread of missing that injury prone player’s handcuff or trying to make up for the missing talent in their lineup each week when the player is out with an injury. 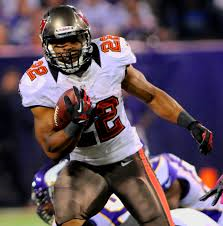 For example, it is much easier to pick Doug Martin in a mock because he is pure upside. The Martin owner does not have to commit any thought to investing in his potential rookie backup of Charles Sims or perhaps even consider Mike James or Bobby Rainey late in the draft. If the player does not pan out, the mock was an experiment, nothing more. The league championship is not lost. This may be a good warm-up if you play in free leagues or low entry family/friends leagues, but it isn’t so helpful when money is on the line. The mocks tend to be very time specific. Meaning that the ones done now may have zero relevance in a month or two, once we have more information. A rookie running back like Tre Mason can gain tremendous value in a matter of days. His skill set hasn’t changed, but ever since the Rams coaching staff mentioned that Mason could start, he went from a flawed reserved player into a potential high upside wildcard. Much of that value got created by Zac Stacy’s efforts last season. It’s important to check the differences between real drafts and mock drafts. If you use the Links page on myfantasyleague.com then take it to fantasy links then ADP, you can differentiate between real drafts and mocks. I’m sure most owners would be surprised to learn that Mason is being drafted before Devonta Freeman in real drafts, but in mock drafts Freeman gets selected before the Rams back. Another trend is that Isaiah Crowell gets selected as the twelfth rookie running back in mocks, but when money is on the line, the troubled back is the ninth runner off the board. All the while, his teammate Terrance West finds himself selected as the sixth back in both mocks and real drafts. Ok, you just burst the mock till you drop bubble. What should I do instead of mock drafts? First don’t stop mocking, but don’t think this is the pinnacle of getting ready to draft. Study the mocks you are in and who you are playing against. Do they have their own draft tendencies that they show over and over? They may show a higher likelihood to draft certain players or positions in certain rounds. If you use myfantasyleague.com, you can plug-in an email address and find out every league they are in. Use this to look in on their other drafts. These may prove patterns to how they draft. Use mock drafts to try new theories. What will my team look like if I go wide receiver heavy for the first couple of rounds and ignore running backs? These experiments will help you decide player tiers. Who is the worst possible running back you are willing to start every week and when is the last reasonable place you can wait to draft that guy? Is it worth taking Jimmy Graham and Aaron Rodgers at the turn versus drafting two second tier running backs? The point differential between Dennis Pitta and Graham may be considerably more than drop off from Monte Ball to Alfred Morris. This is why it is a good thing to test and see how different strategies pay off. Are you happy with your team? Was there a spot you should have gone running back and you went tight end instead? These are all things that can be learned by drafting, but remember that to win consistently you must fill your arsenal with other pieces. Watching the NFL Network, listening to podcasts and reading as much as you can get your hands on are all great ways to feed your mind and the rest will follow….only after you watch as much football as you possibly can. If you like what you are reading, please support the site. Use the PayPal button on the bottom of the page. My other alternatives are pop-up advertisements and/or a subscriber based website. « Bruce Ellington: Could he be the better cousin?